Proof that putting it off does not fix the problem. Nor does it disappear. It simply allows the problem to grow. 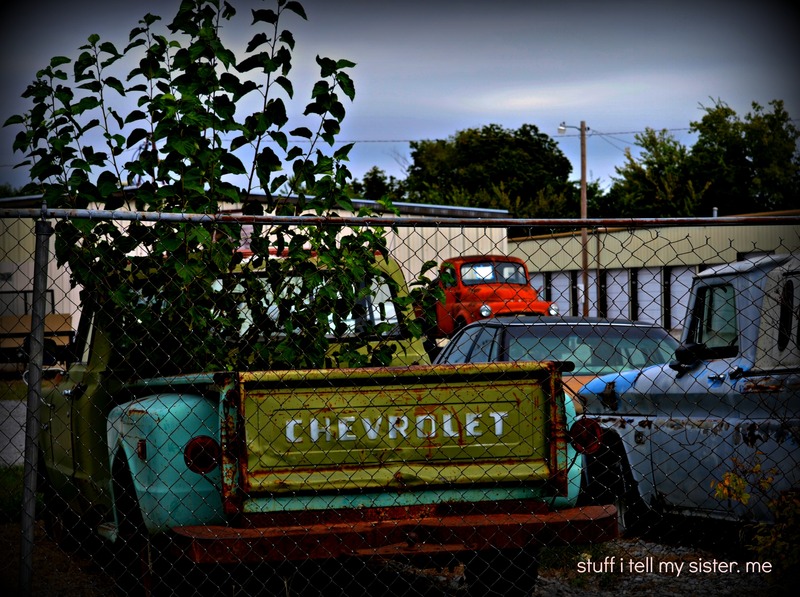 This entry was posted in Forgiveness, Friendships, marriage, Oklahoma, photos, ponderings, Relationships and tagged Allowing a problem to grow, Old Pickup trucks, Old Truck, Tree in truck. Bookmark the permalink. So they have those old things in Oklahoma too! 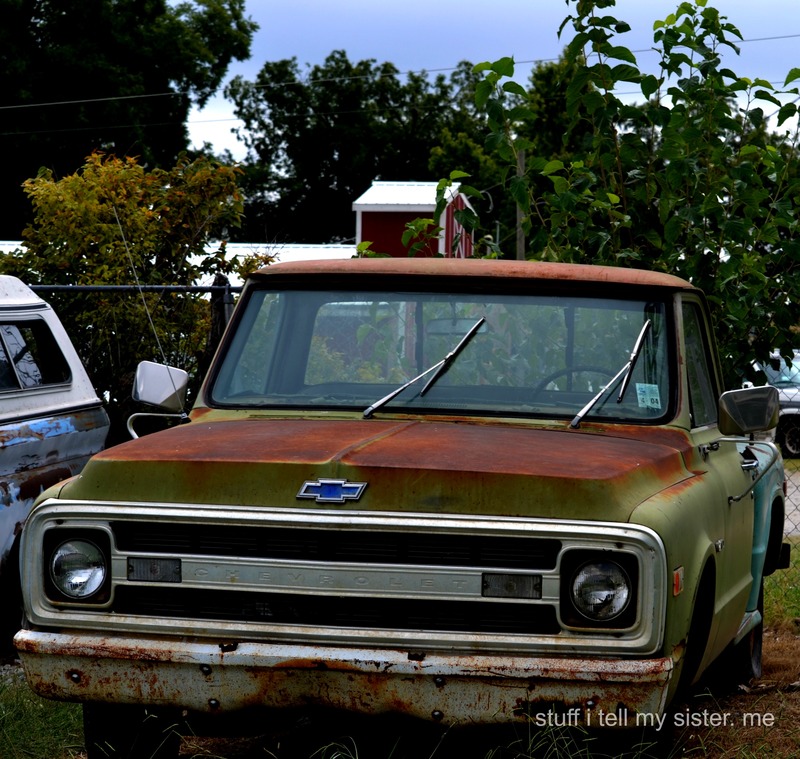 My first vehicle was a 1963, 3 on the tree, Chevy Pick Up! I loved it! It was yellow with black doors and there was a hole in the roof where a milk sign once was and now a wine cork kept the rain from coming into the cab. In the winter, with sandbags in the back, we pulled out many a 4×4 that were stuck in ditches out with this truck! Oh I love it, Diana!! And am laughing about the cork….brilliant! Those sandbags come in handy here STILL during winter months! 🙂 Sweet memories. We had chains for the tires too – I forgot that! Oh yes….chains work wonders on ice/snow! Am with ya on that! Ha! Thanks for the memory – my first husband and I had an old truck like the one in the second picture and it looked about that bad too – but it sure ran good! Gotta love an old truck! So many fond memories. 🙂 And easy to work on, too! You manage to get some fantastic shots .. and colorful ones too .. there is so many old cars around – but I think there is more printers … massive problem, because people buy new printers all the time, because it’s cheaper than buy ink to them. What a waste society we live in. Happy Weekend to you. Paula, thank you so much – I think the medicine is working – but very slowly … thanks for your concern. Sturdy cars in the old days.